The Partnership has launched its new look website with updated content. It is a 'work in progress' and we would be delighted to hear your feedback. 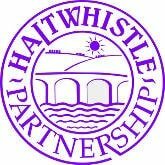 It is intended to keep the site fully up to date and relevant to the community of Haltwhistle and its visitors. The calendar will be in use in due course when we can find time to fit in training for both the staff and trustees who will maintain the site. Our grateful thanks go to trustee Julie Gibbon and her husband Stephen for their hard work in setting up and managing the new site on an entirely voluntary basis.